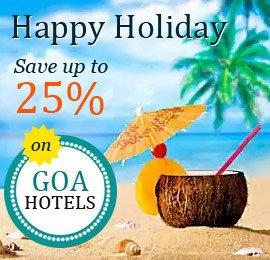 Goa is famously known as the best places for holidays in India. Get hold of the map of Goa and explore the many charming attractions of the state. The smallest state in India is big on delights. It is home to beautiful beaches, forts, churches, villages, heritage sites, wildlife sanctuaries and more. Spot hotels, tourist attractions, adventure hubs, party sites and everything you need on the map. Know everything about the bliss of the tropical paradise. Goa map will guide you with a vacation you wish for.